Declare your love in a Grand way- with a statesque bouquet! "When you tell someone you love them, go big and go fancy! Here's presenting to you a bouquet of premium quality balloons that exude luxury and grandeur. From you to your loved one, your soulmate, your significant other! 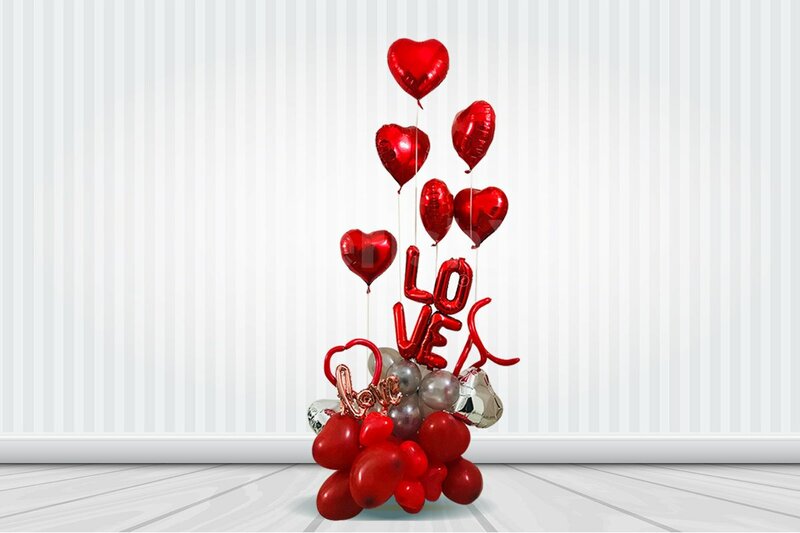 With a glowy red theme, premium foil balloons in the shape of hearts, along with regular red balloons, and some beautiful silver balloons popping out of the middle, this is a bouquet to look out for! It also includes the letters 'Love' in red foil balloons, as well as 3 valentine balloons! This bouquet has been crafted especially to look as statesque and royal as ever. 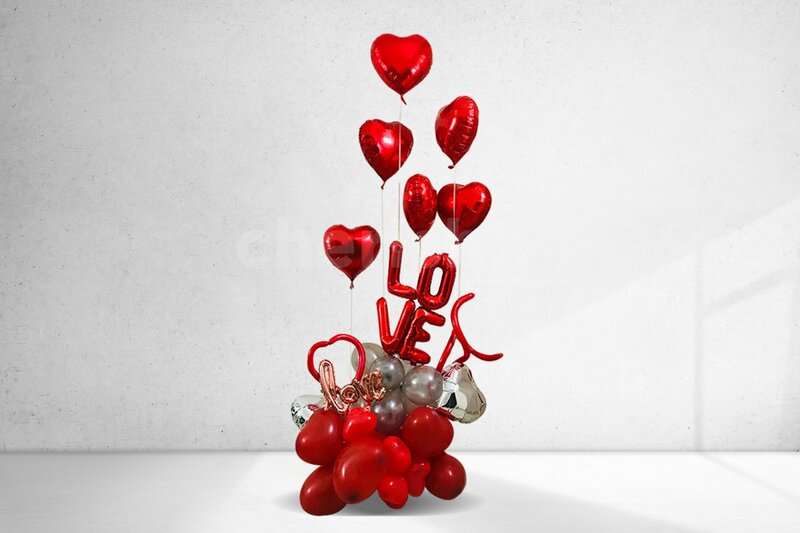 It is made up of exactly 6 heart shaped helium filled foil balloons, 10 latex heart shaped red balloons, 5 silver metallic latex balloons, 3 valentine's special balloons, one exclusive love balloon, and one premium quality 'love' letters balloon in red. You can make this grand surprise even better by adding some of our thoughtful customisations. Sweeten the surprise with a glowing chocolate lantern, a delicious and soft cake, printed photos, a personalised message card, and much, much, more!